Fewer shipments of spring vegetables this season and a delay in volume loadings is occurring in a key California growing region, the Salinas Valley. Frequent and excessive rainfall are prime culprits. At Pacific International Marketing of Salinas, plantings were interrupted in January and February. The disruptions in normal, consistent plant schedules for the early season is making forecasts challenging regarding yields and total volume. Winter production challenges from the deserts of California and Arizona and Mexico has made the seasonal transition to Salinas more difficult to predict as well. Ocean Mist Farms in Castroville, CA reports winter rainfall in the Salinas area was has been about 130 percent above normal. This has resulted in some vegetable crops such as broccoli and cauliflower maturing slowly, with uneven growth. . Salad Savoy Corp. of Salinas reports delays in planting have been one to two weeks depending on the crops. Salinas vegetables – grossing about $4400 to Chicago. U.S. mushroom shipments should be good for the rest of the summer and into the fall season — and perhaps beyond. The reason is mushroom crop yields this year remain healthy and strong, but similar to many agriculture crops, there are seasonal ebbs and flows in production. Giorgio Fresh Co. of Temple, PA has observed this year summer mushroom shipments are at a peak, with volume expected to be story through early fall. However supplies are expected to tighten during the November-December holiday period, which is normal. Mushrooms a whole continue to grow in popularity, especially with organics, specialty varieties and brown mushrooms — including crimini/baby bella and portabella. Kitchen Pride Mushroom Farm Inc. of Gonzales, TX is expecting strong shipments through the summer, with a tighter market going into the fall and winter months. Although mushrooms are grown indoors, extreme weather and a lack of a steady labor pool can be serious detriments to production because production levels depend greatly on the quality of the growing medium, commonly called compost, which is produced outdoors. Ostrom Mushroom Farms of Olympia, WA has noted production and quality problems in the Pacific Northwest during the spring because of compost and mechanical difficulties, but this has improved. Salinas Valley head (iceberg) lettuce shipments have been erratic this season due erratic growing conditions. Additionally, romaine shipments have improved from earlier this year when there was an outbreak of E. coli. More than 200 people were sickened and five people died. Coastline Family Farms of Salinas has noted hot stretches followed by cold stretches of weather which replaced what is typically is a consistent, mild climate. It adversely affected the quality of head lettuce and weight with the product being lighter than normal. For example, a bin of lettuce in early August weight about 1,000 pounds to only about 700 pounds in mid August, a problem that still exists in late August. The shortage of head lettuce has helped improve demand for romaine lettuce since the E. coli problem has faded. Salinas is shipping nearly 1,150 truck loads of head lettuce weekly, while around 850 truck loads of romaine are being shipped a week. Salinas Valley vegetables – grossing about $8500 to New York City. While peak summer California produce shipments continue, few record shipments are taking place, with the possible exception of table grapes. Most commodities and are having normal volume, or being slightly off of average shipments. Record California grape shipments occurred last year, totaling 116.2 million boxes of grapes (19-pound equivalent). This year, shipments are estimated to bet over 116.5 million boxes. The San Joaquin Valley is California’s largest grape shipping region, and loadings started earlier than usual. As of the week ending July 4, shipments were well ahead of the prior year, amounting to six million boxes out of the Coachella Valley and the San Joaquin Valley. This year, during the same period, 9.2 million boxes were shipped. The vast majority California grape shipments will take place after September 1st, when as much as 65 or 70 percent the volume will take place during the fall an into the winter. The Central San Joaquin Valley also has good, steady volume with peaches (averaging about 425 loads per week) as well as plums and nectarines. There also are tomatoes, sweet corn and dozens of other vegetables loadings taking place, plus Westside district melons. Further south in the valley in the Bakersfield area are avocados, with truckloads averaging over 1,000 per week, plus steady movement with carrots. Moving to the Salinas area, strawberry shipments from Watsonville continue. Lettuce, broccoli, cauliflower and celery lead a wide contingent of other veggies being shipped from the Salinas Valley. A similar situation exists just to the south in the Santa Maria shipping district, although on a smaller scale. Salinas Valley vegetables – grossing about $8300 to New York City. Central San Joaquin Valley stone fruit and grapes – grossing about $5200 to Chicago. California is now shipping an astounding 7 million trays of strawberries per week, which should set another record for loadings by the time the season ends. Most loadings are taking place from the Santa Maria area and the Watsonville district. The Salinas Valley continues to ship a wide variety of vegetables. Head lettuce loadings are providing the heaviest volume, averaging about 1,500 truckloads per week. However, there’s lots of other items ranging from various types of lettuce, to cauliflower, broccoli, etc. This week most potato sheds should be hitting full production. Shipments of fresh potatoes from the southern region of the San Joaquin Valley should continue into early July. There has been a 10%-plus drop in acreage of reds, whites and yellow spuds. More specifically: whites are down 13%; reds, as well as yellows are off 12%. The nationally over produced (thanks primarily to Idaho) russet acreage in Kern County is down a whopping 65 percent. Russet acreage in Kern County has dropped to about 1,000 acres from a high of 12,000 to 14,000 acres about 20 years ago. While Kern County shippers are predicting enough transportation with trucks, rail, intermodal and Railex, they say it will be expensive. Kern County potatoes and carrots – grossing about $5200 to Chicago. Salinas Valley veggies – about $7300 to New York City. While head lettuce shipments continue from the Salinas Valley and the Huron District in the San Joaquin Valley, volume is rapidly decreasing as the seasonal shift if well underway and volume increases from the desert areas of the Imperial Valley in Southern California and in the nearby Yuma district of Arizona. Normal shipments are expected from the desert areas through the end of the year. Loadings for romaine from the Imperial Valley should start the week after Thanksgiving. Lettuce loads from the Salinas Vallely are expected to overlap the Imperial Valley season by a week or two. Record shipments of tables grapes continues from the San Joaquin Valley spanning the Kern District to the northern part of the valley is averaging over 1,600 truckloads per week…..Also from the Kern District is shipments of carrots, averaging about 350 truckload equivalents per week. Strawberry shipments from the Watsonville District are in a seasonal decline, while volume is picking up from Ventura County. Moderate volume continues from the Santa Maria District. As with many vegetables in California, berry volume is much lower than only a few weeks ago. There’s a number of produce items in California providing light volume, but at this point may be helping to fill out the truck. Those items may range from oranges to lemons, kiwi, various veggies and even holiday product such as pomegrantes. San Joaquin Valley produce – grossing about $4400 to Chicago. The Salinas Valley continues to provide the best loading opportunities with fall produce. Shipments of vegetables are holding pretty steady from week to week. Various types of lettuce is providing the heaviest volume. When you combine lettuce, with volume coming from celery, broccoli and cauliflower, the Salinas Valley is averaging about 3,400 truck loads of vegetables a week. This doesn’t include various lighter volume mixed vegetables, or berries. While the Watsonville district is shipping around 500 truck loads of strawberries weekly, this volume is declining. The nearby Santa Maria district is remain fairly steady with less volume, while shipments from Ventura County are very light, but increasing. 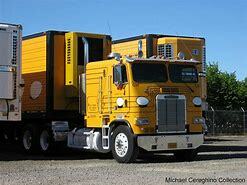 In previous reports there has been coverage of California citrus hauling prospects. Here is some information on lemon shipments, most of which will originate from the California and Arizona deserts between now until February. Loads will also be available from California’s San Joaquin Valley. Overall, lemon volume could be up 20 percent over a year ago. The San Joaquin Valley’s biggest volume currently is with table grapes and tomatoes. Grape volume easily leads the pack. 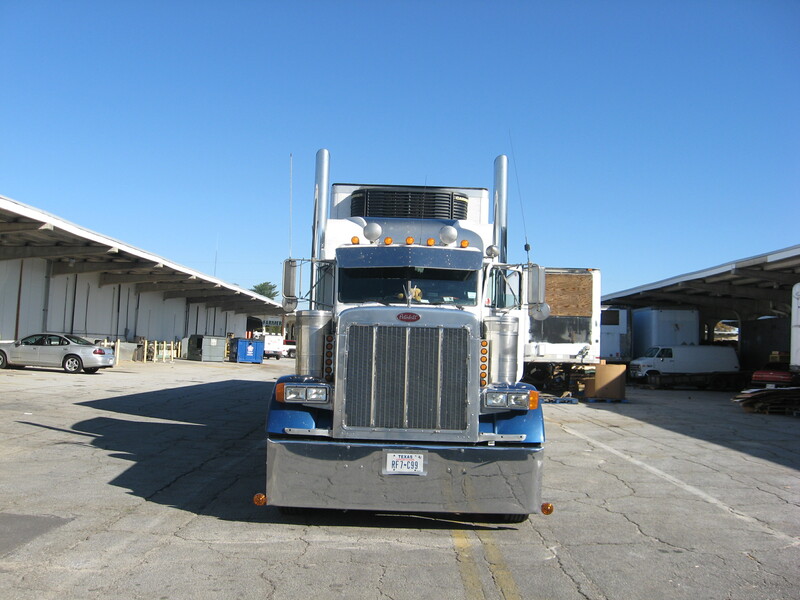 From the Bakersfield are northward through the San Joaquin Valley, grapes are averaging about 1800 truckloads per week. Mature green tomato shipments from Central California are totalling over 725 truckloads per week. San Joaquin Valley grapes, tomatoes, etc. – grossing about $6700 to New York City. Salinas Valley vegetables, berries – about $4400 to Chicago. California fall produce shipments are in full mode, although this certainly does not mean the volume is there you normally find during the late spring and summer. One of the best hauls continues to be table grapes out of the San Joaquin Valley. It is providing big volume and is one the finest quality crops in recent memory. That shouldstranslate into a reduction of claims and rejected loads. 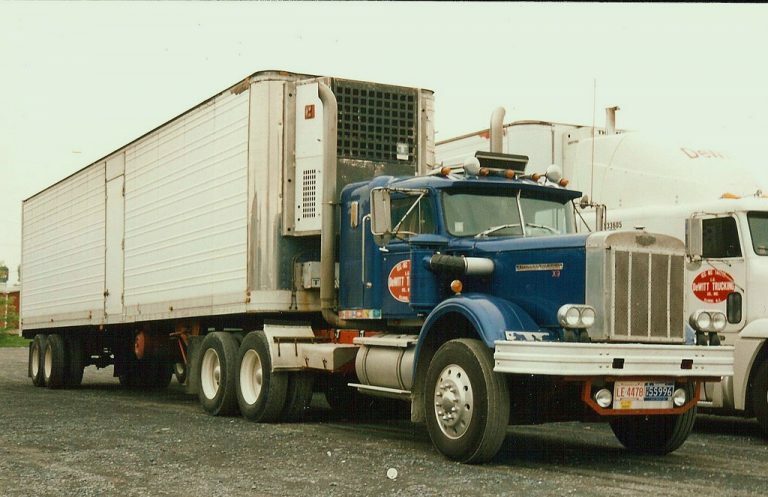 Grapes are averaging about 2,000 truck loads per week. Good volume also continues from the San Joaqun Valley with peaches, plums and nectarines although shipments are now in a seasonal decline. If there is one segment of the produce industry capable of over producing on a scale of the potato industry, it is the growers of tomatoes. Vine ripe tomatoes abound in California with shipments coming out of Ventura County, the San Diego area, as well as Mexican product originating from Baja California. However, the biggest tomato volume is with mature greens grown in the San Joaquin Valley as well as areas located between the valley and the San Francisco Bay area (such as Tracy). In the Salinas Valley, vegetable loads remain pretty consistent, led by head lettuce, then celery, plus broccoli and cauliflower. 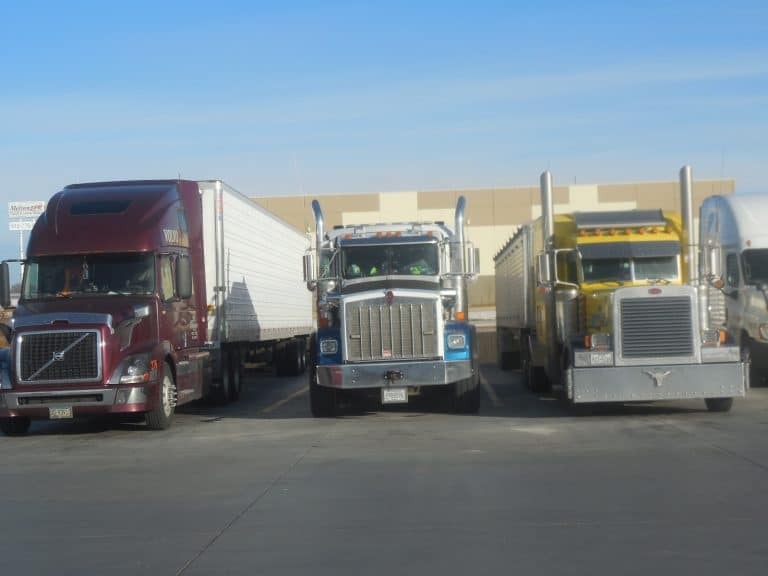 Plenty of other vegetables help fill partial loads as well….Although strawberry shipments are lower from the Watsonsville District, they are still accounting for over 600 truck loads per week. Salinas Valley strawberries and vegetables – grossing about $7000 to New York City. San Joaquin Valley grapes – about $4800 to Chicago. Late summer shipments of fresh fruits and vegetables continue in steady volume from around the country. In New York state, onions have started from Orange County, while cabbage is coming from several areas in both the central and western parts of the state. Michigan shippers continue to load a variety of vegetables, led by cucumbers and squash, particularly from the western half of the state. It is a relatively short shipping season for red potatoes from the Big Lake, MN area. Those loadings will soon be giving away to the Red River Valley, which should move into volume shipments after Labor Day. In California, stone fruit, grape and vegetables loads remain steady for the most part. A similar situation exits for vegetables from the Salinas Valley. Tabulations for the outlook of national apple shipments have been issued at a recent outlook and marketing conference. The forecast predicts the smallest apple crop since 1986. This would amount to 192 million bushels, ranking it as the 31st biggest crop that will be shipped. While the forecasts for the East and Midwest regions declined this year, the forecast for the West increased by 6 percent. And although some of its crop was damaged by hail, Washington state is still forecast to produce 135.7 million bushels, 5 percent above its 2011 production. Washington state apples and pears – grossing about $5600 to New York City. Michigan vegetables – about $900 to Chicago. San Joaquin Valley produce – about $6000 to Atlanta. There have been some reports of “fringe burn” on lettuce being shipped out of California’s Salinas Valley. This results from an exceptionally windy summer where the leaves are damaged from the wind and debris that is blown. While all lettuces have been affected to a certain degree, it appears to be more prominent with romaine and romaine hearts. Otherwise, the Salinas Valley has had great weather this summer, with many days being under 70 degrees F. This is quite a difference from the “roasting” much of the USA is experiencing. Just take a little extra time inspecting the lettuce being loaded on your truck, and make sure your receiver(s) know what is being delivered and have any defect information written on the bill of lading. There also are reports of some large Iceberg lettuce that is overripe. This occurs when product is left in the fields too long before harvesting. California continues on track for possible record shipments of strawberries. The state has been running about 13 million trays ahead of this same period a year ago. The record is 181.3 million trays. The heaviest volume of a long season for shipping California strawberries is coming to a close. 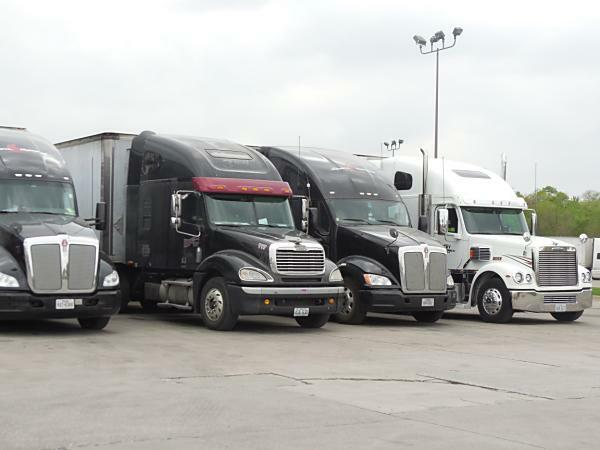 Shipments typically decline in August and into the fall. Once again, here is a reminder to be extra cautious if you are hauling highly perishable berries this time of year, because of the extreme heat occuring in many parts of the USA. Please check out the in transit warming information on the TransFresh ads found on this website. Besides strawberries out of the Watsonsville district, California also is shipping raspberries and blackberries. There should be decent supplies for hauling over at least the next couple of months. Salinas Valley produce – grossing about $5500 to Cleveland.